Like it says on the banner this website features lots of photography, a bit of politics, and the occasional bout of procrastination. If that floats your boat then pull up a chair and join in. Can I use any of your images on my site ? All the images on this site are under my copyright. However I have decided to allow reuse through the Creative Commons License. In essence you can copy my images for your personal use, publish them on your website (as long as you attribute them to me), or email them to your friends. However ALL commercial use and modification of the images is forbidden. For more information on the Creative Commons License click the logo below. If you use one of my images on your website please include a link back to this site. If you drop me an email to tell me that you are using it then I can give a link back to your site. Anyone wishing to make commercial use of my photographs must email me for permission. On a related note, when writing about an exhibition or a particular photographer’s work I may include images in the article. Where possible I always credit the original photographer. If you are the copyright owner of any material that appears on this site and you object to its inclusion then just drop me an email and I’ll sort it out. Can I buy prints of your photographs ? Of course you can. Just get in touch via the Contact page. Include the name of the photo you want and details on sizes and quantities. Why is it called The Circle Of Confusion ? This is a term used in optical design and it seemed like an appropriate name for my website. The circle of confusion is essentially a way of describing the point at which an image is just on the limits of acceptable sharpness. It is used in depth of field calculations among other things. 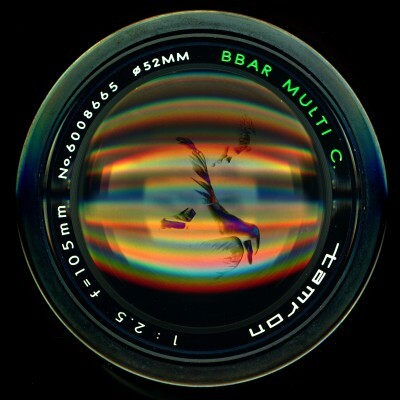 You can find an excellent article on this (and on may other optics questions) at Paul van Walree’s site www.vanwalree.com. I spent ages looking for tools to allow me to build a photo gallery website just the way I wanted it. Many of the tools were either too complex to administer or not compatible with my web host. In addition I wanted everything to run on open source as much as was possible. It has been through various incarnations over the last 5 years but I hope this latest (October 2009) upgrade will last a while. The wordy bits are managed by WordPress. The photo gallery runs on Coppermine.